South Africa and its residents have had to face and learn to live with the scourge of crime that has made its way into the very sanctity of our homes. Glen Austin, like many other neighbourhoods in the country, faces serious security problems with housebreakings and hijackings threatening the very fabric of our lives. But we aren’t taking it lying down! 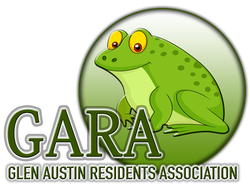 The Glen Austin Residents Association (GARA) has opted to take a proactive approach to crime, and instead of letting it beat us we fighting back. It is against this backdrop that we have mobilised the community to fight crime in the area, and are doing so in a responsible manner by partnering with the South African Police Services (SAPS). Close cooperation with the Armed Response companies in the area has also proven to be a big deterrent in keeping crime out of the area. Do your bit to fight crime! Report all incidents on the website no matter how small they may seem. There is no price you can place on the safety of your family and friends. Join us in the fight against crime and let us take back the streets of Glen Austin. Your safety is our concern.